The loss of Honda’s Swindon plant is a bitter blow to the automotive sector in the UK and devastating for the 3,500 people who work there. Representing the area of Longbridge, I know the impact that closure of car plant has on families whose livelihoods depend on it. The reasons for Honda’s decision today are very different to MG Rover back in 2005, but the affected families will today be feeling the very same fear for their futures as those who were affected by the MG Rover closure almost 14 years ago. Those individuals and families should be at the centre of our thoughts today. A range of practical initiatives were taken at the time of the MG Rover collapse to support both employees facing redundancy and other companies affected by the closure. The Government must look at what can be learned from those initiatives for Swindon today. As with other recent announcements of the loss of a new model at Nissan in Sunderland and job losses at Ford and Jaguar Land Rover, Honda’s decision cannot be simply put down to Brexit. But it is clear that Brexit is an important part of the background in which these decisions are being made. With a committed workforce, excellence in innovation and a stable operating environment, the UK has built up a deserved reputation as a great place for automotive companies to invest and as a gateway to the European market. It is that reputation that has made Swindon the home of the Honda Civic, but it is a reputation now under threat. Decisions to accelerate development of electric and other powertrains beyond petrol and diesel are leading Honda and other manufacturers to review their operations worldwide. When they do so, they make judgements about where to do business. The harsh reality is that Brexit uncertainties are undermining confidence in the UK as the stable gateway to Europe that we have been until now. The looming possibility of Britain crashing out of the EU without a deal on 29th March is adding an even more serious dimension to that uncertainty. Brexit is hitting UK manufacturing and it is hitting it hard. It all underlines why whatever else happens in the coming weeks, the Government must rule out a no-deal Brexit. 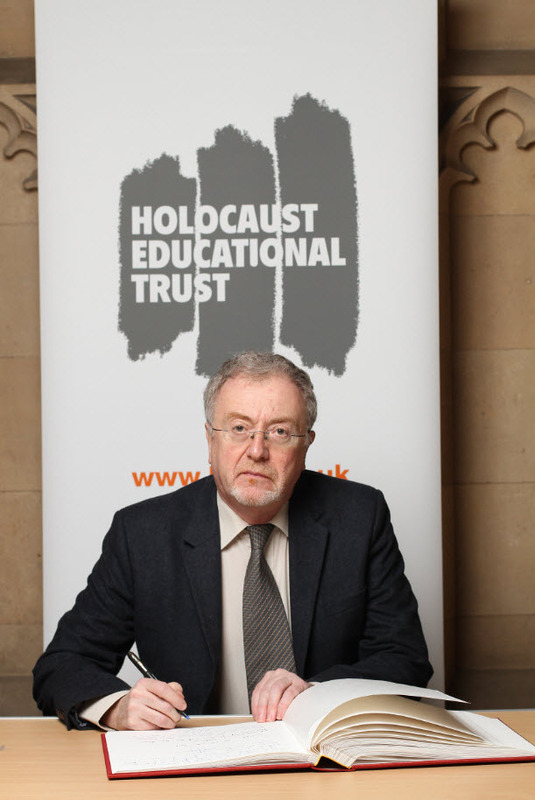 It was a privilege this week to add my name to the Holocaust Book of Commitment in the House of Commons, organised by the Holocaust Educational Trust UK. It is important to commemorate those who died, but it is also important that we pay tribute to extraordinary individuals who survived and whose testimonies we must never forget.